Welcome to Screen Rant's "Geek Picks," where we collect the finest movie-related geekery from around the Web. Today you'll find Pacific Rim causing intoxication; Pixar characters illustrated as famous video game heroes; every generation of X-Men in one infographic; and the first 5 minutes of 10,000 movies. All that and more on this edition of SR's Geek Picks! South Africa-based artist Dwayne de Kock has come up with a series of Pixar characters reimagined as famous video game heroes. 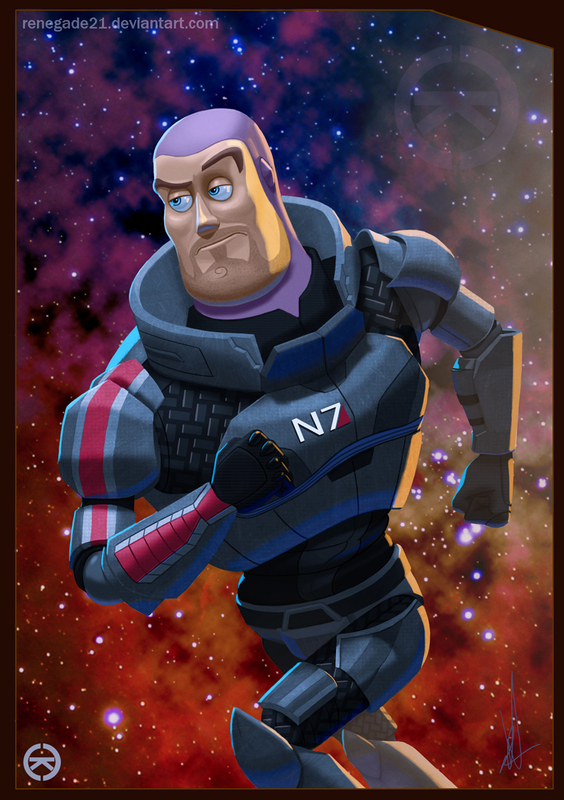 In his sketches, Toy Story’s Buzz Lightyear undergoes a Mass Effect makeover to become ‘Commander Lightyear’, while Princess Merida from Brave transforms into tough arrow-slinging ‘Brave Raider’ in the style of Tomb Raider's Lara Croft. Check out de Kock’s illustrations here. Onyx the Fortuitous (Weird Gamer Guy) hits up Monsterpalooza to check out the show, talk some horror with fans and even dress up as The Wolfman...with interesting results. In honor of the franchise’s 50th anniversary, Marvel and We Love Fine have commissioned this sprawling “Battle Of The Atom” infographic that explores the evolution of the X-Men’s membership. Illustrated by Leigh Wortley, the piece features a whopping 150 characters, channeled all through a simple, stylish, black and white filter and arranged chronologically. The project’s vast scope speaks to just how deep the roster is at Xavier’s School For Gifted Youngsters. Also meriting effusive praise: the stripe-y bars used to render Colossus (4th row, 2nd from the right). Stumped? Answer key here. Prints and t-shirts available here and here, respectively. Why watch just 1 movie when you can watch 10,000 at the same time? Click the Zoom annotations if you want to zoom into that section of the video for a closer look. Change the quality to "original" to watch in 4k resolution. Fun fact: it took over a month to render this 5 minute version. The original idea was to make this video feature length, but a 2 hour version would have taken several years to render.